It's been awhile since my last post! This past Monday, 16th, I did a large order for my bags and books! Hopefully will have everything in two weeks! For those of you who were asking for more baby crows, I played around with a design and made a new one. I actually, put it in the order too! With this bag, there are 3 different baby crows. These are the sides. And, on the inside is another different baby crow! 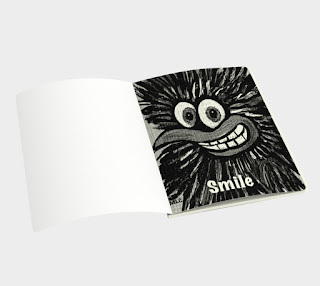 I couldn't get the images to fit properly in the smaller size notebook, so it will only becoming in the larger size. I did manage to get one painting finished. And, do you remember this painting? This is where I'm at now! And, I just wanted to give a shout out to this pasta, that was recommended to me. For those of you who want a more healthier choice for pasta. It's made out of Green Pea Flour, that's it! I had it today. Yes, you can taste the "green peas", but with a regular tomato sauce, it was good! I'm not getting paid to advertise this. I just wanted to share. I know so many of us, are trying to eat healthier! LOVE the Angel of Crows. And Santa Crow has a heap of promise too. Your work is just beautiful. Bags are amazing!! Painting are beautiful. I am your new follower, hope you follow me back. that first baby crow made me laugh, it's so adorable with those huge puppy dog eyes! too cute!! the grin on the other baby crow is infectious. I like how the feathers are soft on the next little guy. The little snow crow couple are just so adorable Stacy! That pasta looks great, we have some here made of lentils, it comes in rotini shapes and has cheese or marinara sauce. The images for the bag and notebook are perfect. And that first painting is just beautiful. Your last baby crow picture is perfect for Christmas. Love it! That past sounds right up my street, healthy and tasty – what’s not to love. Ahhh the baby crows look SUPER CUTE on the bag and notebook and that crow KNOWS she's a star!! :) That was a great call! We've been making pasta here using fresh zucchini noodles, made with a spiralizer, and baked in a low temp til they are just right. It's not a replacement noodle but it works! You can even twirl them on your fork! :) Cheers to health and mindfulness. . . HUGE crow hugs!! Oh yay! My favourite Baby Crow is there -- the one with the big goofy grin! And I must say, Stacy, the painting that you're using as your blog banner right now is SO full of beautiful soul, feeling and emotion that it is just incredible. I love it. Love the babies!!! Now I have to save up some money and grab em. 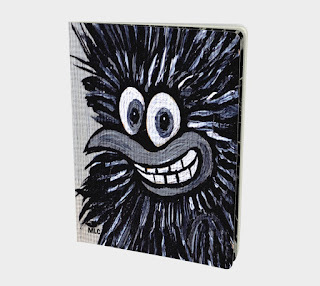 Your artwork has always been fantastic Stacy and now it can be carried around and look gorgeous! I love your new art, too... your baby crows grow more adorable every time I see them!!! Low carb pasta, I never have tried different flours, but put a lot of flavors when I roll it out. 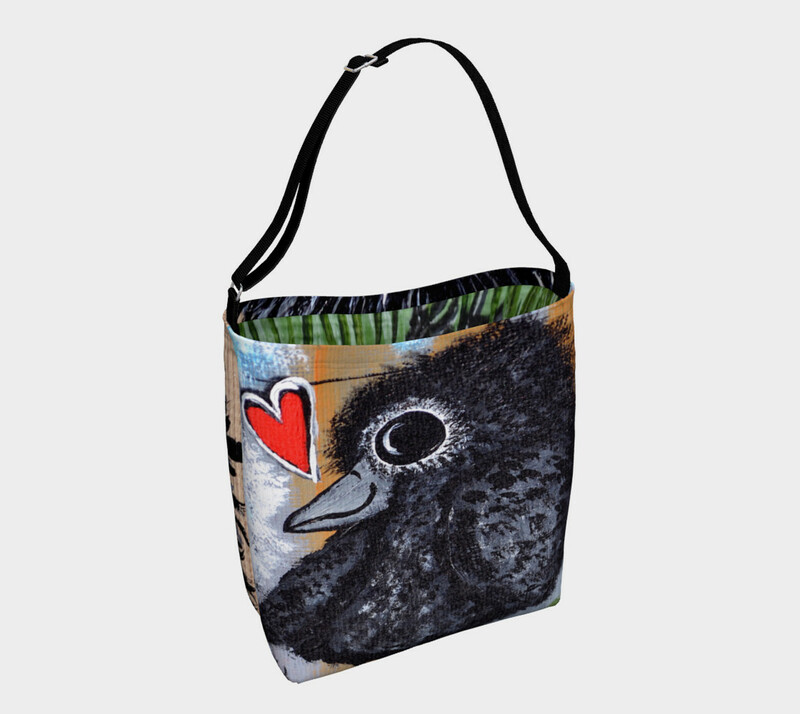 Awww, how adorable the baby crow bag is! I think your newest painting is so full of love! I also very much like your fall crow at the top. 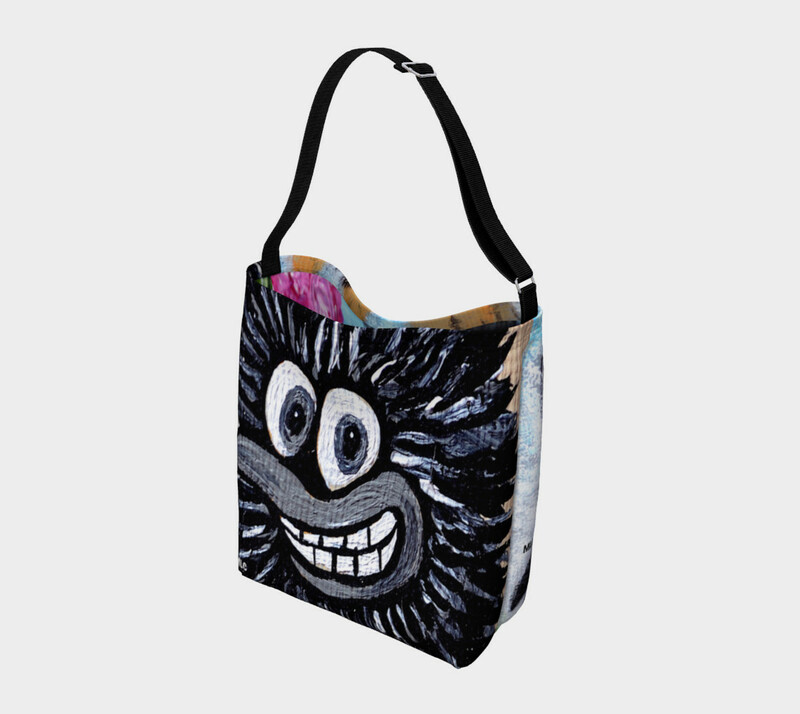 How much fun to see your wonderful art on products! How delightful the bags are...and the baby crow! And I love your header, Stacy! Great art! Love all the painting.. and the bags are cute!! I am loving your accessories Stacy! So fun! Angel Of Crows is a beauty too. I will have to look for green pea pasta. I have not seen it here. I buy a gluten free pasta of rice, corn and quinoa flours. It has a great texture and taste. Some of the healthy pastas out there are quite yucky! 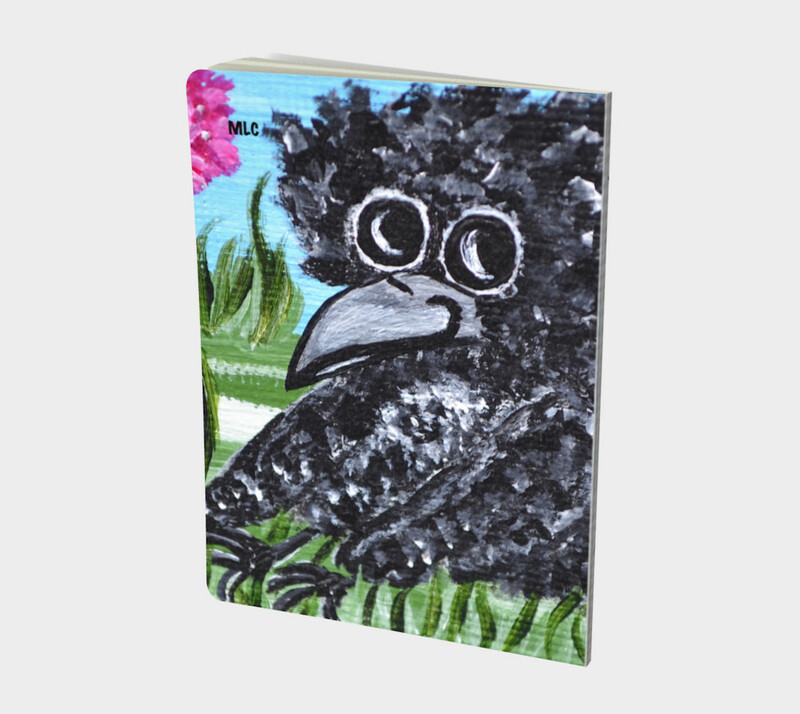 I am just so pleased for you ... your lovely baby crows look so good on the bags and notebooks, many congratulations. Your last baby crow picture is perfect for Christmas! Hmmm green pea pasta sounds interesting! Your art is lovely as always! Love the finishing touches on the Christmas picture. So cute. And love the new bags. Will they show up in your Etsy shop, Stacy? Very cut bags and beautiful painting! I am intrigued by the pasta. Definitely sounds interesting and healthier. Thanks for sharing. The baby crow bag and notebook look fantastic. Awesome that you got the order in and now you just have to wait. You are AMAZING in your skills dear Stacy!!! i could not imagine that bag will look as GORGEOUS!!! LOVED the finished painting ,it is creating magic before my eyes! I would not ever be able to choose a favorite - these are all great!! Love your images applied to practical every day items. I would feel so special carrying a tote decorated with your beautiful crows! Also, the Angel of Crows is fantastic. The pasta sounds yummy! That green pea rotini does look good! The bag and notebook came out great! I love Angel of Crows especially the baby you added!!! Can't wait to see the new winter babies finished, tis the season coming up! Hugs! 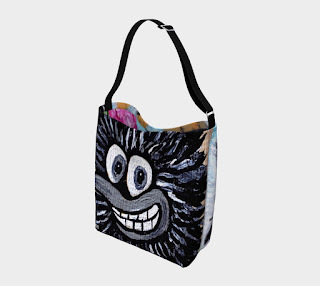 I may have to get one of your tote bags for the library visits I do. I carry all my books and supplies in them. I bet the kids would like your crows. Hugs! Hi Stacy! Your baby crow bag and notebook are darling! It's fun to see your paintings evolve! Sending you love and hugs!